From North:: Motorway A1, Florence-Rome, exit n. 28 Valdichiana. From South: Motorway A1, Rome-Florence, exit 29, Chiusi/Chianciano Terme. 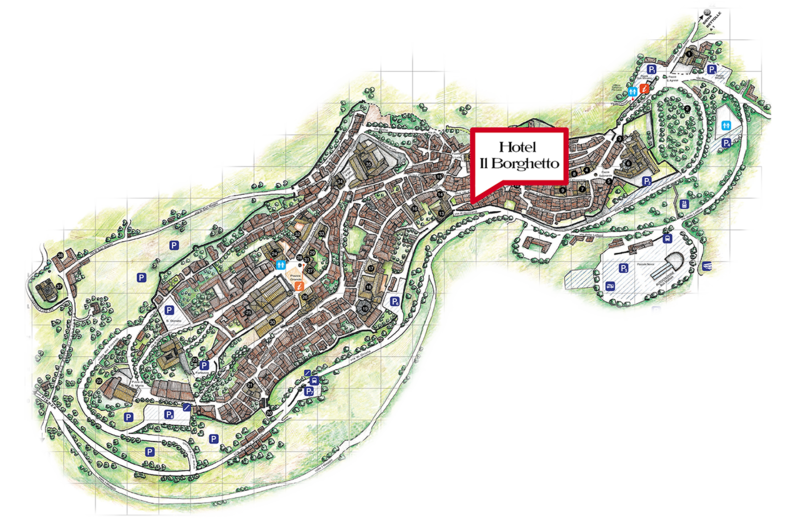 Our customers can enter in the historical centre from "Porta al Prato" with the car, cross "Via di Gracciano", up to "Borgo Buio", in front of the entrance of the Hotel. Line Rome-Florence train station FF.SS. Chiusi/Chianciano Terme. 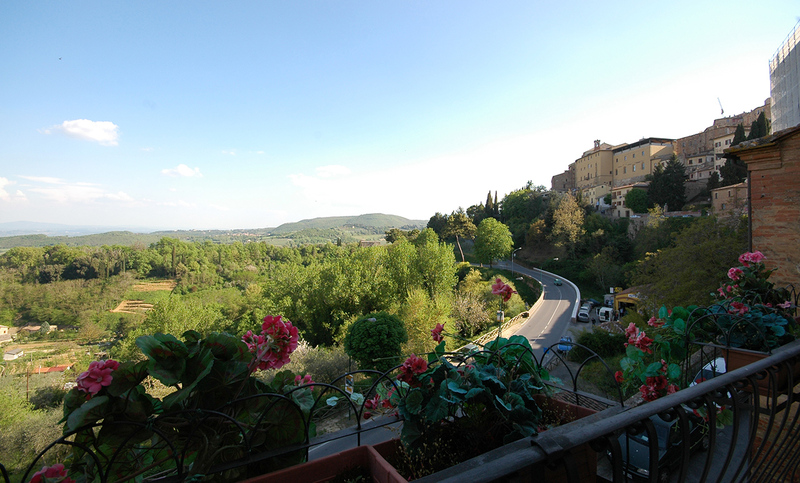 Connection with Montepulciano by Bus. Line Chiusi/Siena train station FF.SS. of Montepulciano Scalo. Connection with Montepulciani by Bus. Direct lines for Siena and Florence. Even today Montepulciano presents with the same characteristics of once. According to tradition Montepulciano was founded by the king of the Etruschis Porsenna; but chances was founded by the Roman people. Montepulciano was contended between Siena and Florence for a long time but it entered to make part of the Medici's dominion. Now Montepulciano is identical to four centuries ago, the streets and the buildings form a historical centre in which the time seems to have stopped. In Piazza Grande are found the town building, designed by Michelozzo, the palaces Contucci Nobili-Taurgi, the characteristic well of Grifi and Lions and the majestic cathedral.Among the most famous buildings there are Tempio di San Biagio, the Poliziano Theater, and the palaces Cervini, Ricci, Bucelli and Avignonesi.That we should not forget the Santa Lucia church and the Pulcinella tower, the fortress and the civic museum. The popularity of Montepulciano is due to the great wines, the most famous and loved is the "Vino Nobile di Montepulciano", a very fine red wine, one of the best wine of Italy.A few steps away from the Hotel you can visit the cellars of aging, where you can buy this great wine or taste it with the other products of this territory, like the olive oil. The most important initiative is "Cantiere Internazionale d'Arte", a summer overview of music, dance and prose.Another one important event is the "Bruscello", a popular representation that resumes an ancient kind of paesant drama.Bravio delle Botti is a medieval reenactment between 8 quarters in which was divided the town.